Croix is officially a walking member of society. He went from taking a few teeny tiny steps when bribed with an iPhone, to basically running! He loves to show off and practice his new skills pretty much constantly and his favorite place to do so is outside. Lucky us, winter 2017 has been pretty mild and most days it feels more like April than February, so in the afternoons you can find us in the driveway, the grass, the neighbors grass or even the street (holding my hand like the little cherub he is of course) (hahahaha). As fun as it is to watch him explore, we thought he might enjoy a swing. 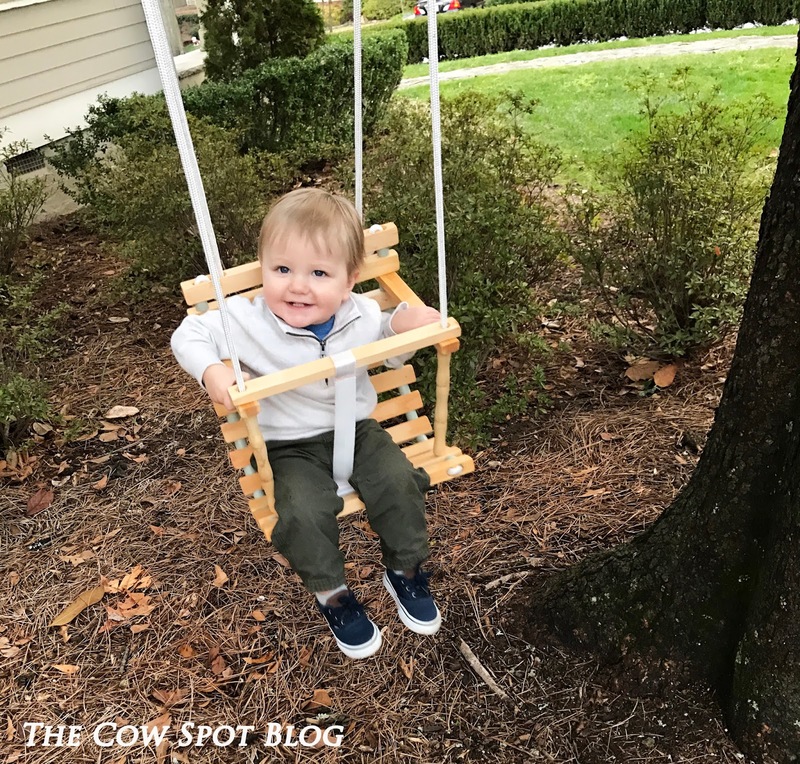 He loves to swing when we go to the playground and having his very own in our yard would be a way to take a fun break from all the walking falling and running while still enjoying the outdoors. We've talked about creating a whole play area in the side yard in the future, but in the interim a single tree swing sounded fun and charming, so we started researching and found this little swing on Etsy. Can you even deal with the cuteness? 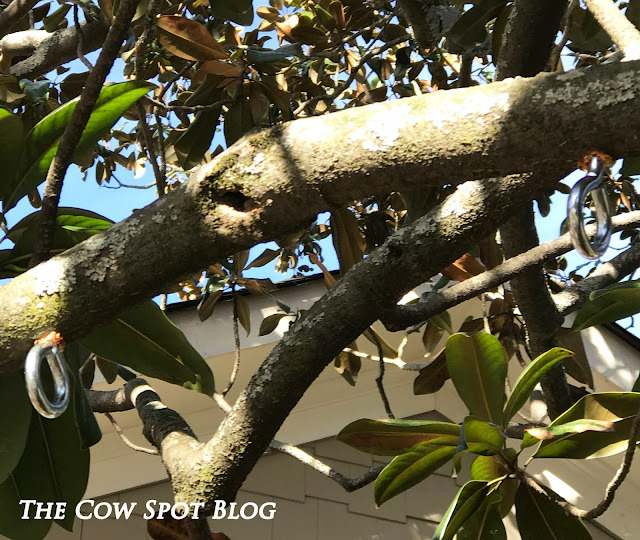 We installed the swing right into a magnolia branch (does it get more southern?) using these metal I-Hooks Brent picked up at Home Depot. 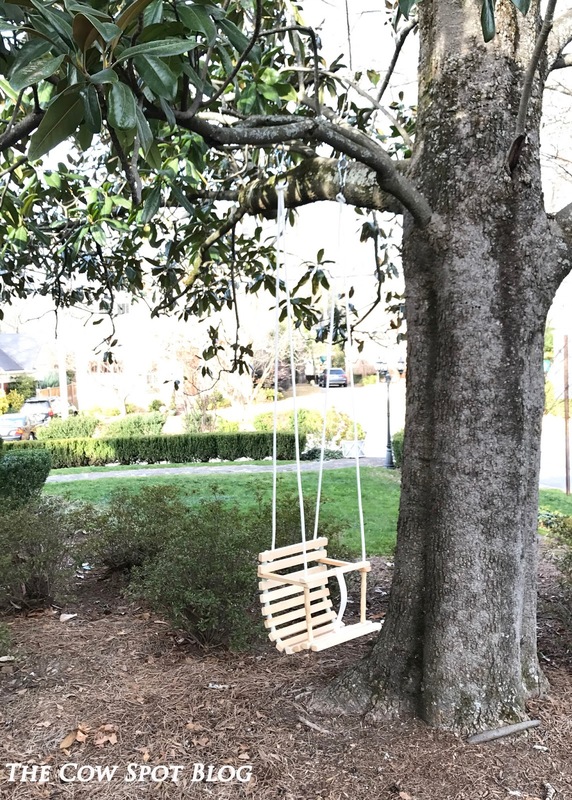 The swing came with everything else and the whole install process took about 5 minutes. Happy, charming and makes Croix laugh uncontrollably - check, check, check!